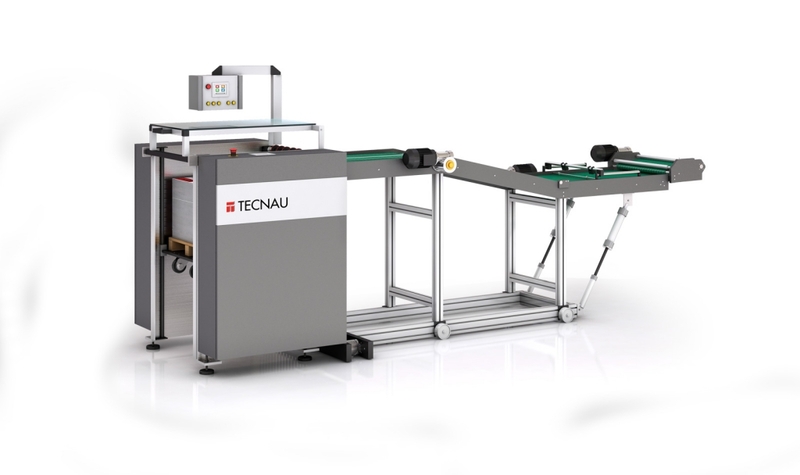 Tecnau expands its portfolio with new finishing solutions for sheet-fed production inkjet printing, including TC 1530 C dynamic perforating, TC 1530 P hole punching, and Stack 1010 cutting/trimming/stacking modules. 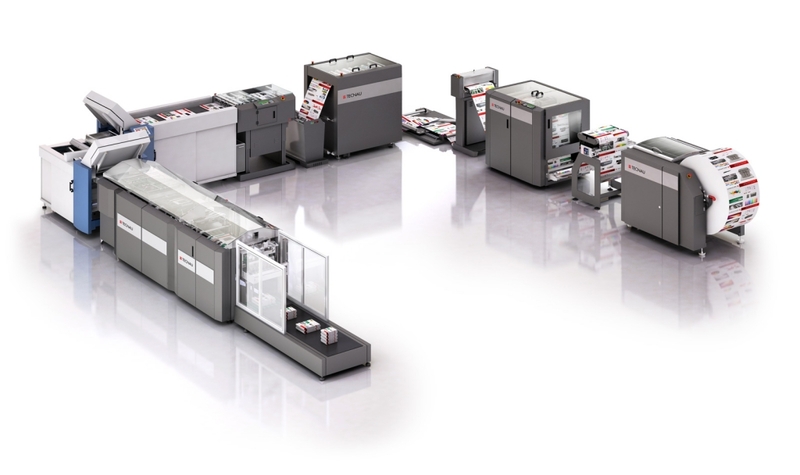 The new finishing family facilitates production of manuals, agendas and calendars, short run books, direct mail applications as well as transactional and transpromotional applications. 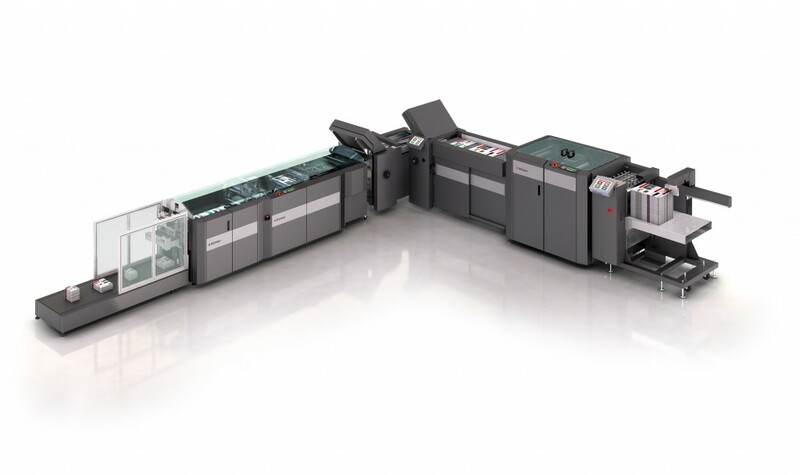 The commercial segment opens the door to inkjet technology thanks to the higher quality and increased media variability now offered by several production printers. Tecnau continue to gain success in the commercial print segment thanks to the wide product offer, from entry level solutions to highly automatized lines, and thanks to the complete range of applications and media supported across the portfolio, including standard offset paper, glossy or matte, uncoated or coated. Tecnau enunciates its focus on compliance with Industry 4.0 standards, including remote diagnostics, real-time production supervision, software download and data analysis. These powerful tools quickly support products in the field and allow Tecnau to stay close to every customer, wherever located. 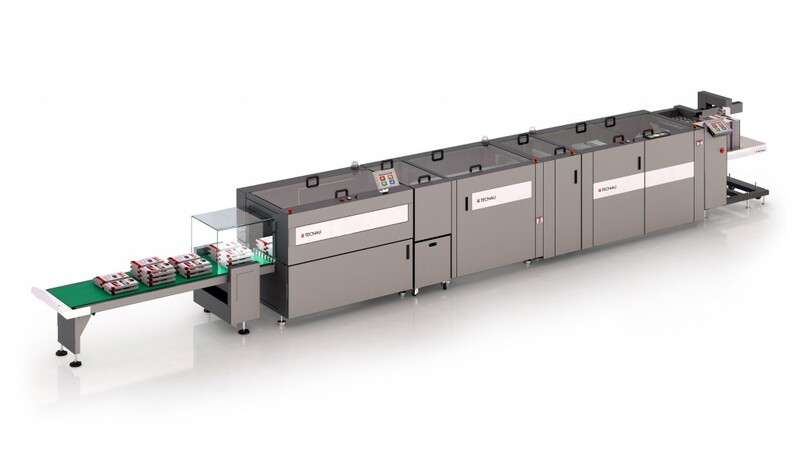 Libra 800, fully variable and automated book binding and three-knife trimming confirms to be the technical leading solution for short runs and book-of-one productions in 24/7 operations. Libra One CS, a Libra One model supporting sheet-fed operations, is introduced in the market. Libra One CS eliminates the manual guillotine process and automatically transforms single sheets up to 13” x 19” in size into pre-glued book blocks, with dynamic changes between 2up and 4up impositions. The new Stacker s25 is presented in conjunction with the established Cutter c23. 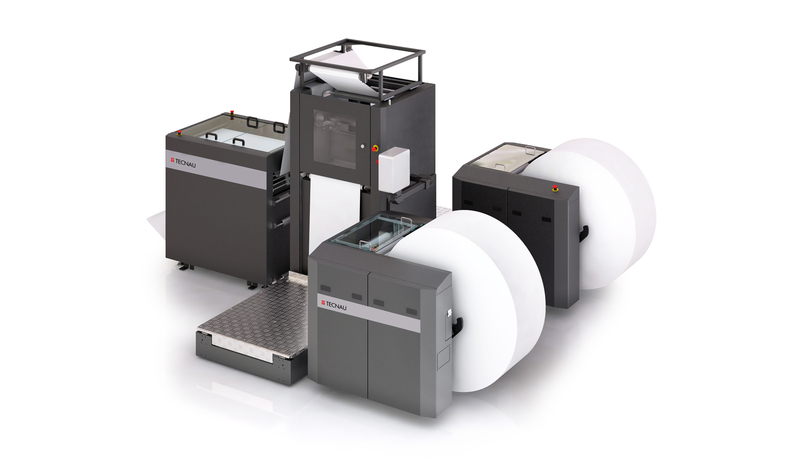 The Stacker s25 features a new gripper technology to provide reliable, damage-free handling of heavy-ink-coverage graphic arts applications. An expanded version of Tecnau Connect (formerly known as PrePost Manager) becomes generally available: a central platform to control the most complex finishing lines, collect data and generate reports, enable remote technical support and perform essential integrity controls. Investment into the acquisition and renovation of a second building in Ivrea, Italy, where Tecnau HQ is located. The new building will be entirely allocated to new offices while the existing building will be reorganized to increase the space available for manufacturing and assembly. The new building will be opened in H2, 2016. Tecnau increase its presence in Germany and appoints a new Business Area Manager with long expertise in the digital print industry, in order to respond to the growing demand for Tecnau solutions in the region and enhance the cooperation with local partners. 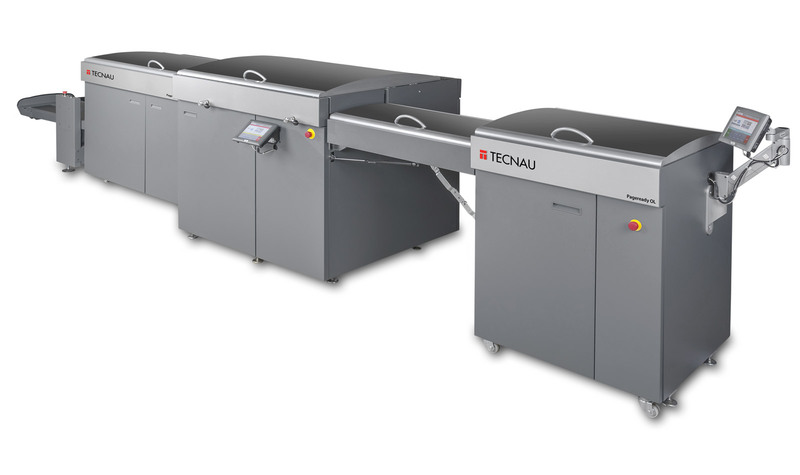 Tecnau expands its product offer with the release of the High Pile Stacker h10 in order to support the increasing demand for short and medium run commercial print applications such as calendars, posters and banners. The new corporate image and a unified website is officially presented to the market. The StreamFolder solution for book block assembly is expanded to 30” applications and equipped with a higher level of automation for simple and quick application changes. Libra One, the first solution for variable book-block signature supporting dynamic imposition change on the fly (2up/3up), is unveiled to the market. The Cutter c23, with rotary technology and dual blades, is introduced, offering a high level of performance, reliability and ease of use. 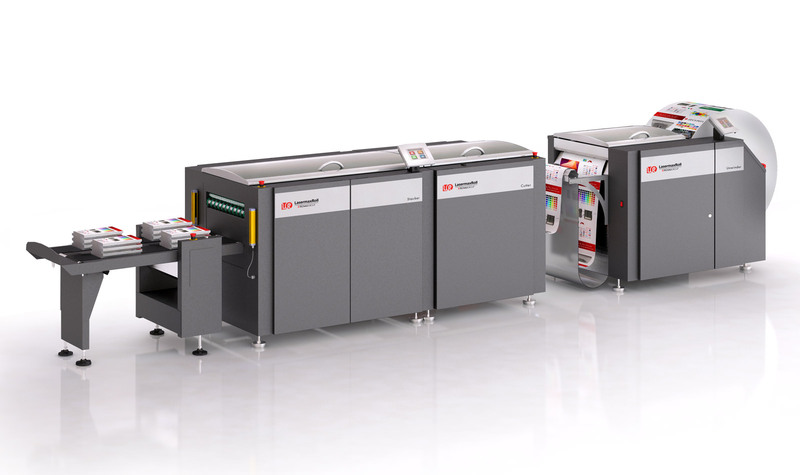 PageReady NL near-line solution becomes available, supporting output from multiple sheet-fed printers with full automation. The Zero Speed Splicer u40, a revolutionary technology in digital print finishing, is presented at Print13 show (Chicago, IL). The TC 1550 series of dynamic perforators becomes field upgradable in speed and performance with the new generation of TC 1550 PLUS. The first edition of Prime Time is held in Ivrea, where the new solutions for print finishing are presented to customers, printer partners and industry leaders. Tecnau and LasermaxRoll establish new worldwide management to integrate the two organizations. The sales & marketing organizations of the two companies are unified globally. TecnauGroup is chosen as umbrella brand to present the new established organization at Drupa (Dusseldorf, Germany). Tecnau acquires Lasermax Roll Systems and becomes the first and only multinational corporation with a complete portfolio of paper feeding, processing and finishing solutions. 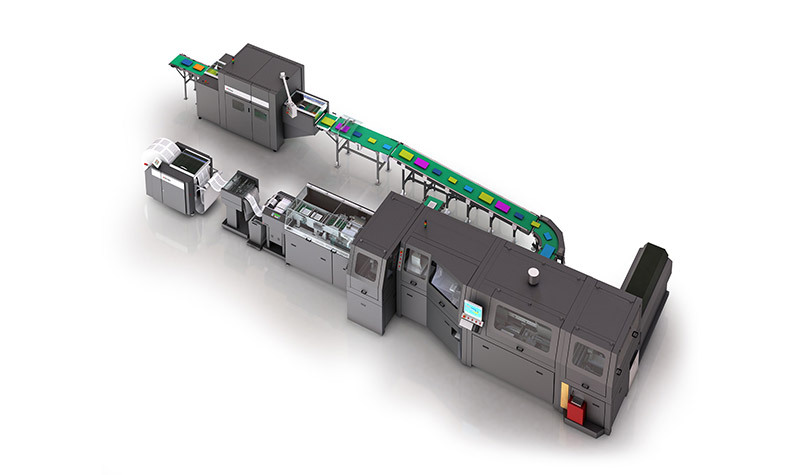 A new installation of the Libra 800 solution for book on demand production is successfully completed in UK. Dynamic punching becomes a standard application supported by the TC 1550 series of dynamic processors. Tecnau and Lasermax Roll Systems have achieved successful results as independent companies for the last 30 years, providing new technologies to companies engaged in digital printing and finishing. Since 2011, Tecnau and LasermaxRoll have focused on establishing a new unified organization with a joint mission and strategy: to develop and market dynamic and flexible solutions supporting the broadest set of applications in the digital printing industry.